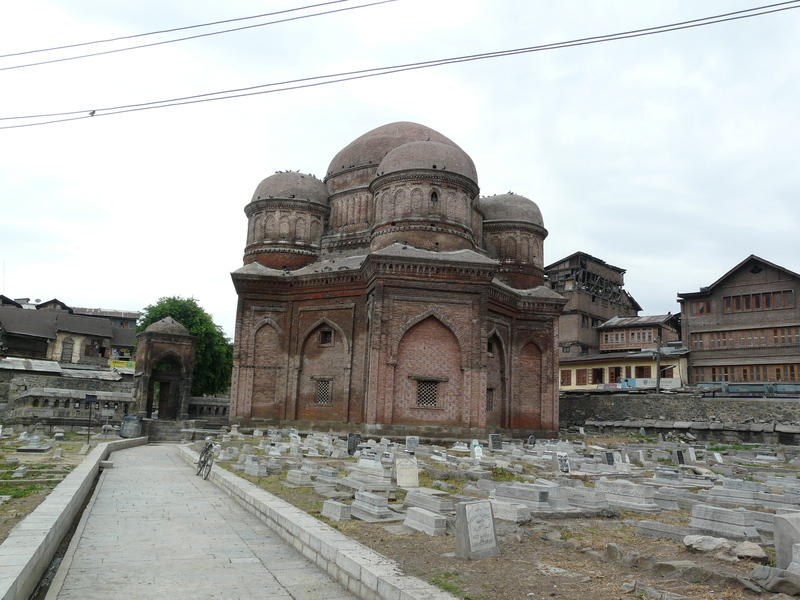 This is another monument in Srinagar’s old city but is unlike most others, being a royal tomb instead of a mosque/shrine. However it is interesting in a couple of ways, the first being in the architecture of the main mausoleum itself, and the second in the evidence of it having being built at the site of an earlier Hindu temple. 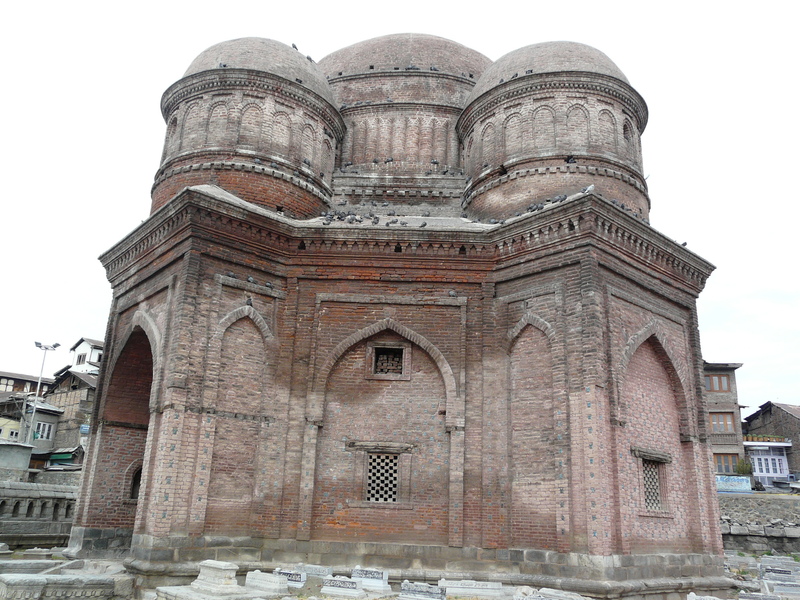 The main mausoleum (containing the tomb of the eponymous mother of Zain-ul-Abidin) is a 15th c brick masonry structure decorated with glazed blue tiles. The shape of the structure is unusual though, being reminiscent (to my eye) of church architecture. The central domed tomb chamber is flanked by four auxiliary domed rooms that resemble chapels adjacent to the apse of a cathedral. 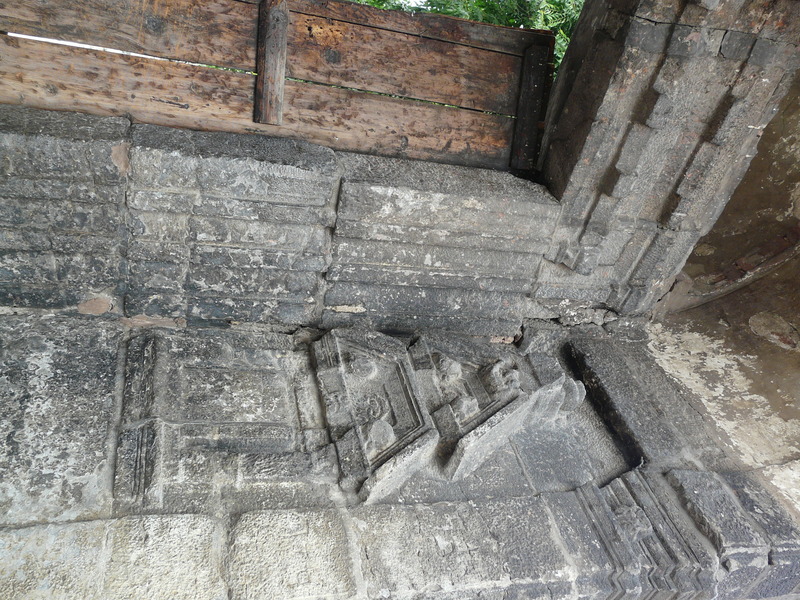 In plan the structure will resemble a symmetrical cross. 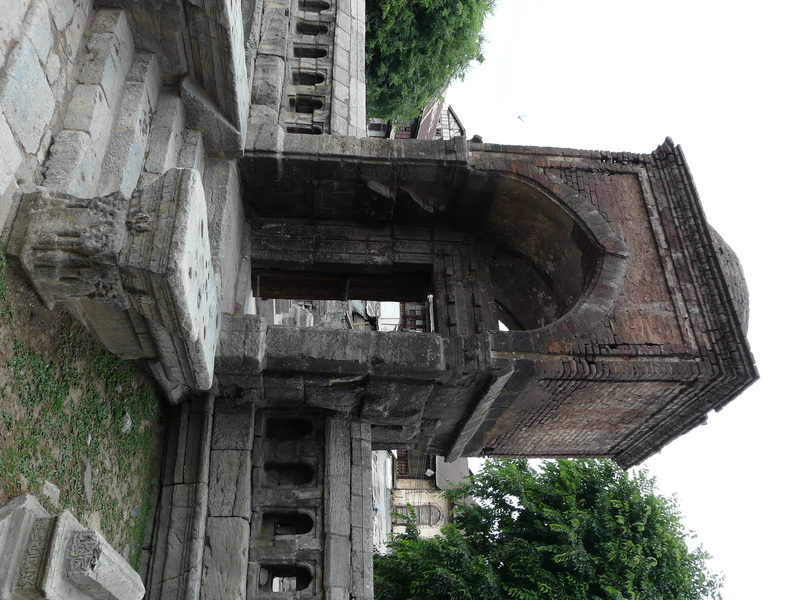 Of course these are only visual cues, and this kind of tomb design may have precedent in Central Asia etc, but it is unusual in my experience of South Asian architecture. 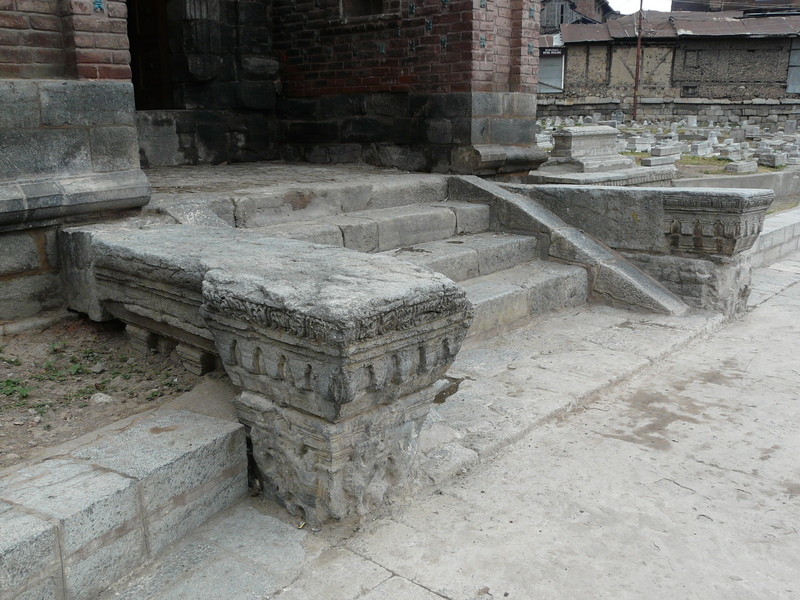 The other aspect is the evidence of earlier Hindu temples at the site. 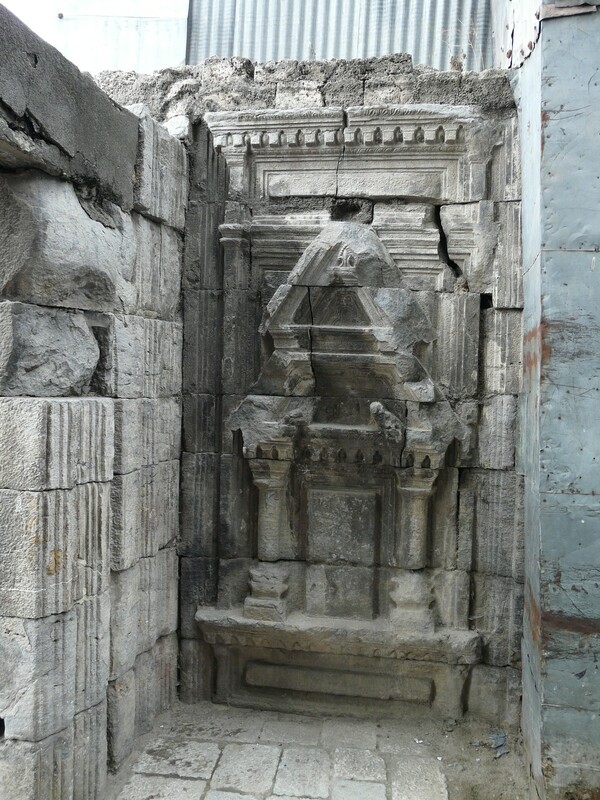 This is interesting at many levels, because the temples in Kashmir were themselves very unusual in style (as evidenced at Avantipur and Martand), being heavily influenced by the Gandhara school of art, and in many ways vastly different from the styles of stone temple design in the rest of South Asia. 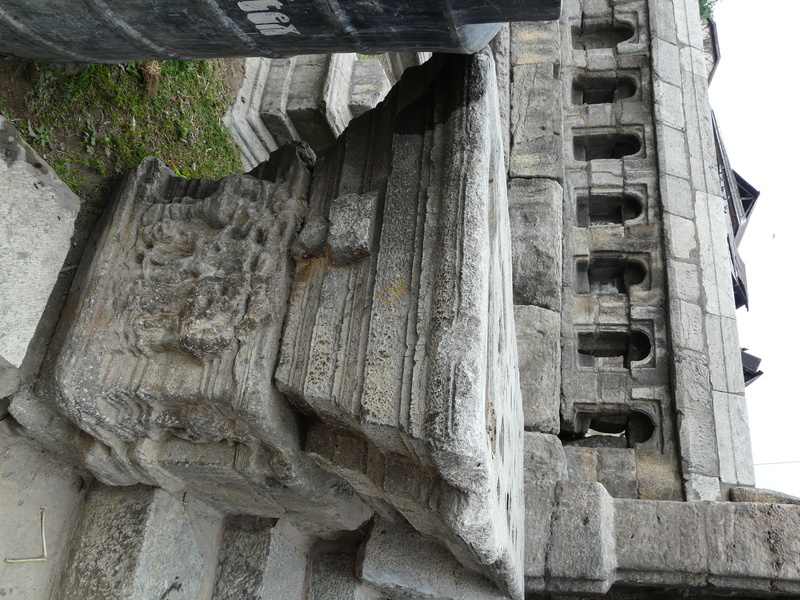 In fact it is possible that the base of the main mausoleum follows the lines of an earlier temple at the same spot, since there are a lot of similarities between the base of this structure and the base of the Avantishwara temple at Avantipur (see the Avantishwara temple section in my Avantipur and Martand post linked to earlier in this paragraph). I haven’t read any scholarly work on this, so right now I’m just conjecturing about it. 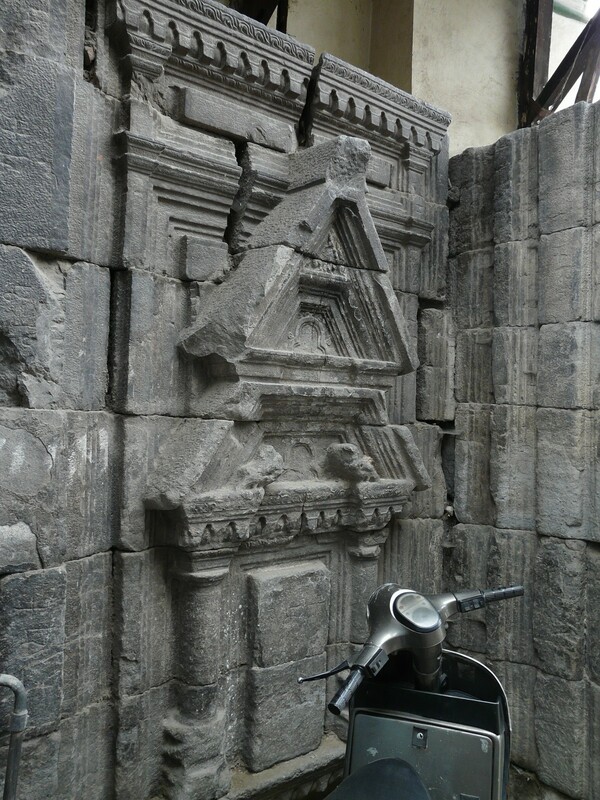 My interest in this is not because I want to highlight the destruction of temples (I don’t know what the state of the temple was at the time the mausoleum was constructed), but because I find this layering of styles and histories fascinating. Also, the construction of mausoleums and (more frequently) mosques at the site of earlier temples indicates a certain reverence to the site and it’s symbolism. In the case of this tomb in particular, this was my first interaction with the Gandharan-influenced iconography of Hindu temples in Kashmir (I had not been to Avantipur and Martand yet), and found the Greek and Roman-inspired elements quite fascinating in this setting, with an unusual Islamic tomb which itself seemed to reflect elements of western Christian architecture. It all seemed like a happy architectural history hodgepodge! 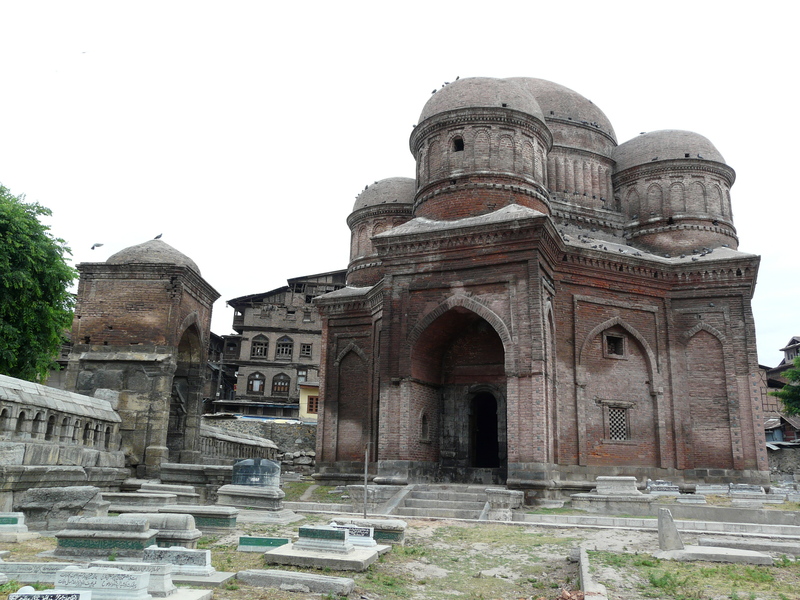 This entry was posted in Jammu & Kashmir and tagged india history, kashmir, srinagar, tomb of the mother of zain-ul-abidin, tombs. Bookmark the permalink. 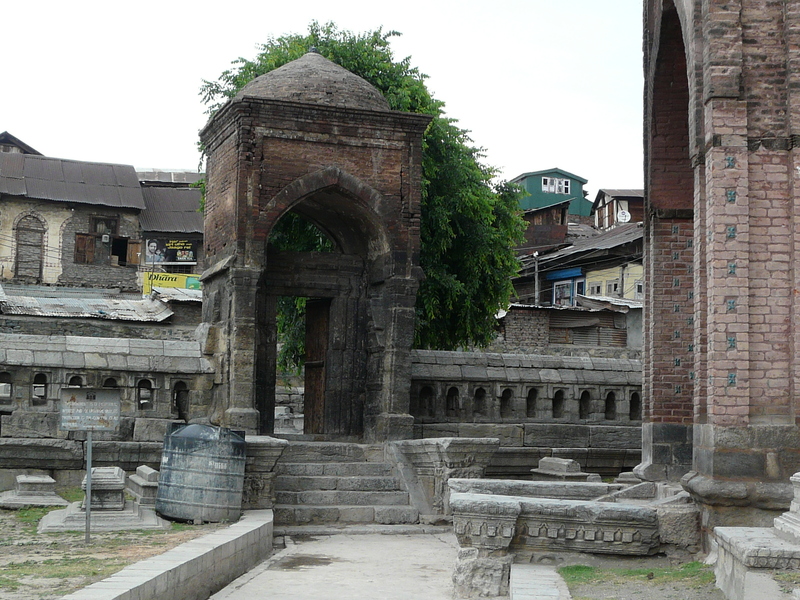 Originally this seems to have been a Hindu temple parts of which are still visible. 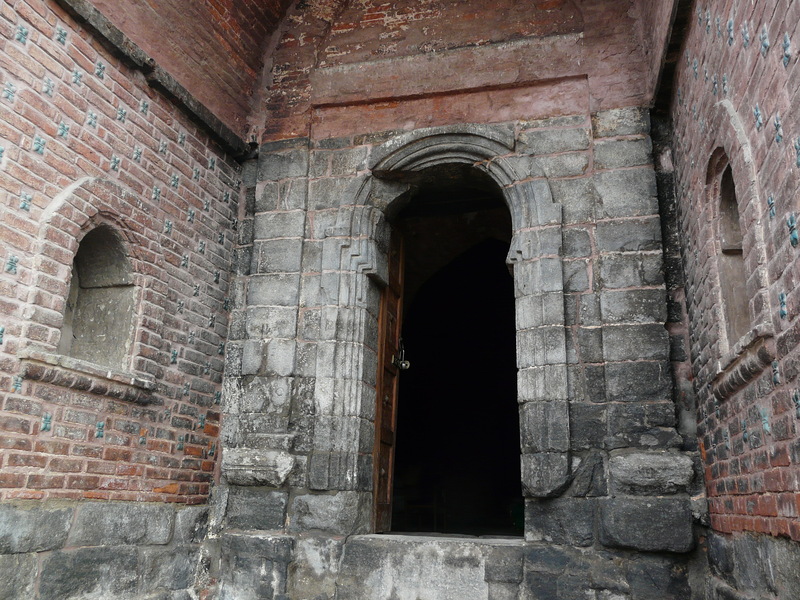 The brick masonry over the entrances made of stone is a clear indication. 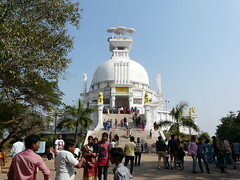 The peculiarity is because the made use of the Ground Plan of the temple. Yes, I had indicated that in my writeup.